In 1965, the UK formed a separate colony, called the British Indian Ocean Territory (BIOT), by separating the Chagos archipelago from Mauritius. The UK went on to remove the Chagossians (the indigenous people of the islands) from the BIOT by, inter alia, refusing to allow them to return from visits to Mauritius and by removing employment by acquiring, and closing down, the plantation company which provided for their employment. The removal of the Chagossians was further supported by an ‘Immigration Ordinance’ issued in 1971, requiring the compulsory removal of the whole of the population of the territory, including all the Chagossians. 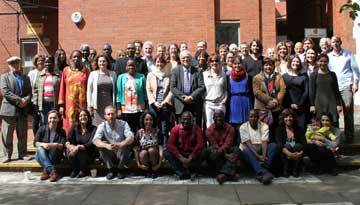 Subsequent UK Government orders have continued to prevent the right of return. The Chagossians have unsuccessfully sought recourse for their expulsion through domestic legal avenues. In November 2016, the UK Government announced that it does not intend to reverse its position on resettlement. Application of UN human rights treaty obligations – UN treaty bodies consistently made clear that UN human rights treaty obligations apply to all territories under the UK’s control. The BIOT is an overseas territory under the control of the UK and no reservations have been made by the UK. Such a reservation, if sought, would offend peremptory norms and would not be compatible with the object and purpose of a UN human rights treaty. Nor can it be argued that the UK can avoid its human rights obligations having removed the Chagossians from the BIOT, as stressed by the Human Rights Committee. 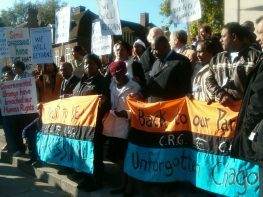 Non-Discrimination – UK actions preventing the right of return directly target the Chagossians. These discriminatory restrictions should be withdrawn and steps taken to ensure the Chagossians can exercise their right of return. Self-determination – Decisions directly impacting the Chagossians have been made without meaningful participation. Going forward, the UK should hold meaningful consultations with the Chagossians. Effective Remedies – Denial of the right to return requires the UK to provide the Chagossians with an effective remedy, including compensation. Recognise the violations the Chagossians have endured since removal from the islands. Remove the discriminatory restrictions on Chagossians from entering the BIOT and immediately facilitate the Chagossians’ right to return. Provide the Chagossians with an effective remedy, including adequate compensation for the violation of their rights over the past fifty years. Appropriately consult with and seek the free, prior and informed consent of the Chagossians in relation to the right of return and compensation process. CERD/C/GBR/CO/18-20, para 12; CCPR/CO/73/UK and CCPR/CO/73/UKOT, para 38; CCPR/C/GBR/CO/6, para 22. CCPR/CO/73/UK and CCPR/CO/73/UKOT, para 38; CCPR/C/GBR/CO/6, para 22.